Balloon | BALLOONATIC & CO.
To my hubs – without you in my life, things would be a lot less sane, and let’s be honest here, life is crazy insane already, so thanks for bringing it down to a tolerable level. Love you and will forever. To my wild boys – thanks for keeping my on my toes fellas. I have this feeling that without you two, I would get a lot less done in life. You two (without knowing this yet, based on your tender ages) drive me to be better, at everything, so that our lives together will be everything we hope for. Muah! To my family – although most days you all think I’m crazy, I rest assured that deep down you see the bigger picture when it comes to me and my ways. Understanding ones differences is a personal goal I’ve been trying to work on, and I hope that crosses over to your understanding of me. I’m lucky to have everyone of you in my life. To those that are not here today, those experiences have shown all of us that although terrible things can and will sometimes happen, it leads us to something promising, and we learn from it, if we allow ourselves too. To my friends – there are many reasons to give thanks to friends. Aside from the obvious, I have to let everyone of you know that it means a lot to hear, see and feel your support over the last 9 months. Starting off this biz as a side project, and watching it grow into a business because of the support of all of you has been extremely rewarding. To my clients – we know each other in difference ways, some not at all, but each and every client I have had to date has provided me with a rewarding interaction. It’s not always the case in business when the feedback is so excited and positive, and for that I consider myself to be the luckiest. Giving credit where credit is due is important to me and where my business is today is mostly in part to do with some major repeat clients and business counterparts. If I had to list names (and please pardon if I miss someone) I would point out the ladies at Ernst & Young, Roxanne and her use of my creations for her big moments in business at Tonic, the gorgeous due of Carrie & Kelly at Little Black Dress photography, who graciously exchanged services and I now enjoy professional shots for business and career enjoyment. There have obviously been many more encounters with local businesses, photographers, beautiful brides, new mommas and plenty of little people that enjoyed a giant oversized creation on their birthday. They have all been memorable and I am thankful to have a majority of those moments documented on my Instagram feed. Thanks to each and every client! To my suppliers – I have come to be quite aware that gestures from one business owner to the next can create windows of opportunity, far beyond the power of the marketing world. Without the kind-hearted, caring, courteous folks at Bazaar & Novelty, there is no way possible I would be able to do this on a daily basis. They are amazing and they always go the extra mile to make my life easier….even when it makes theirs harder. I make sure to give them my sincerest thanks and appreciation each time I am there (which, in no surprise, is a few times a week). I could start listing all of the large and small gestures they’ve made, but it would take forever. To everyone else who can’t be categorized (fans, likers, followers, word of mouth spreaders, sharers), giving thanks to you today for all of the little things that help me grow, both personally and in business. Many thanks on a thankful day, and every day…..
5 uncommon uses for a Balloonatic Balloon! 1. 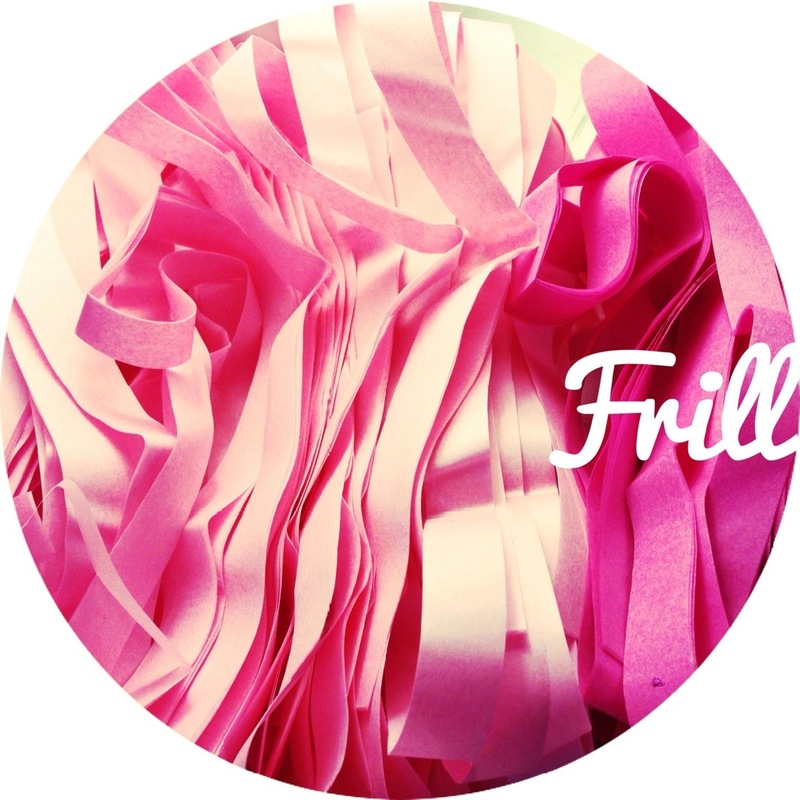 Gender Reveal Party – Say what? Ever thought of throwing a bash to let your friends and family know what color of onesies they should be buying? If you didn’t, that’s ok, but a major trend in the bash biz is that very type of soirée! How to host one, you ask? 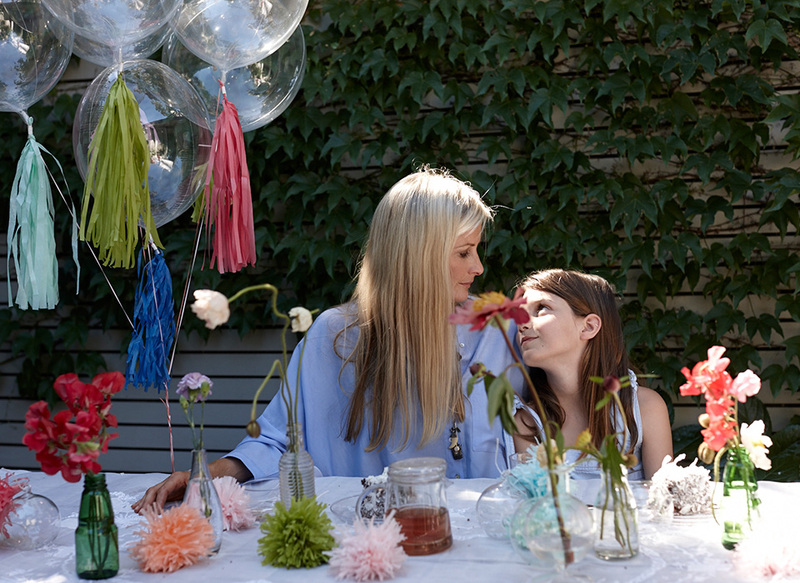 Gather up your closest friends and loved ones and organize a special delivery; a blue or pink themed giant balloon! Also a great reason to throw a couples shower, another growing trend and a thoughtful way to incorporate the new dad-to-be. 2. Storefront Window Install – Having dabbled in the art of creating a unique and eye-catching window display, both at Gap Kids and my family retail store, I know first hand it can be a challenge to come up with new ideas. 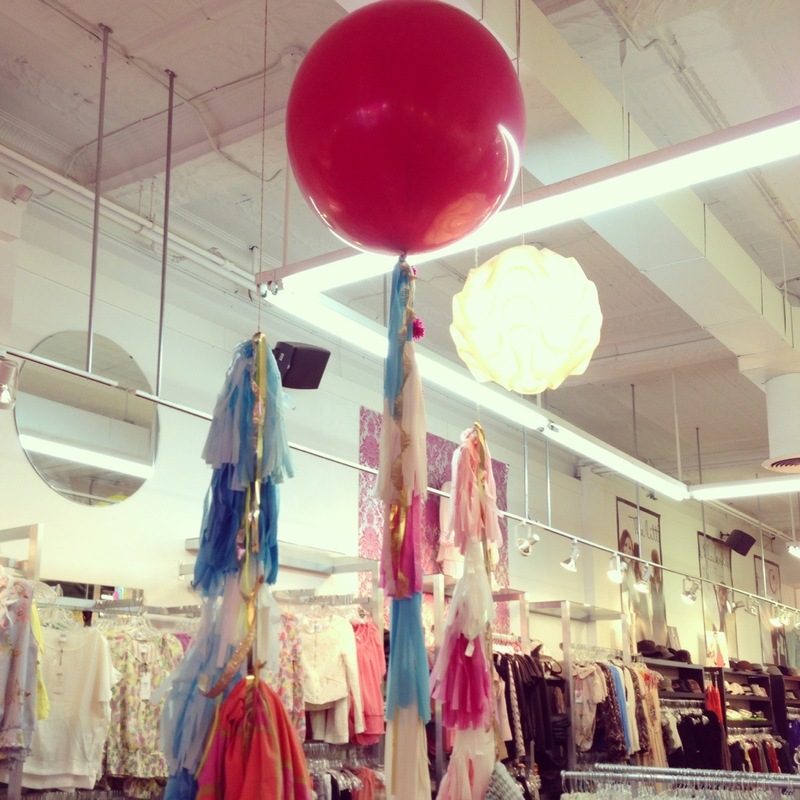 Now, giant balloons with fancy frill aren’t for every establishment, but they can add the perfect amount of whimsy to a children’s store, or the right touch of trend to a Woman’s shop . Bridal dress boutiques, Bakeries & Cake Shops, along with any business celebrating a milestone, can indulge in the fun of having these giant “greeters” turning heads on the street. Balloons last 3-5 days with the option to add a coating inside the balloon, which will make each one will last at least two weeks. 3. 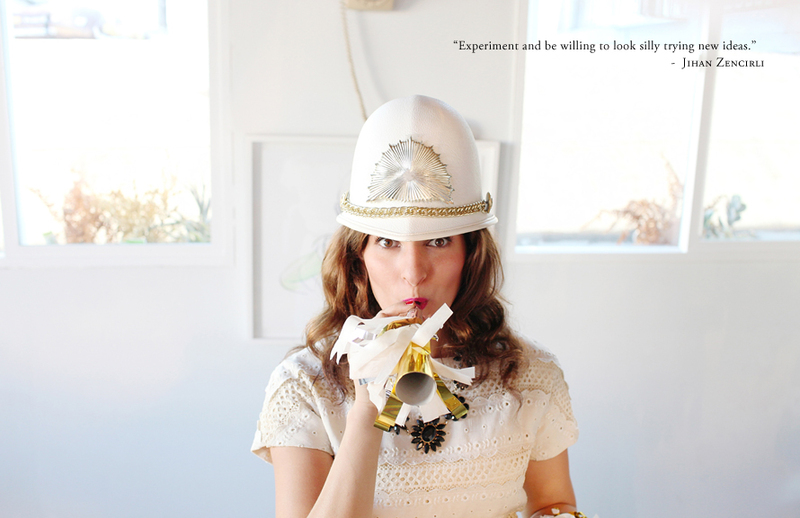 Photographer | Stylist | Collaborator – I honestly can’t describe to you how much fun you’ll have working with these fancy “props”. But I can tell you, I’ve heard the laughs and witnessed the wow factor! Ask anyone I’ve worked with, they are way more outrageous in person. 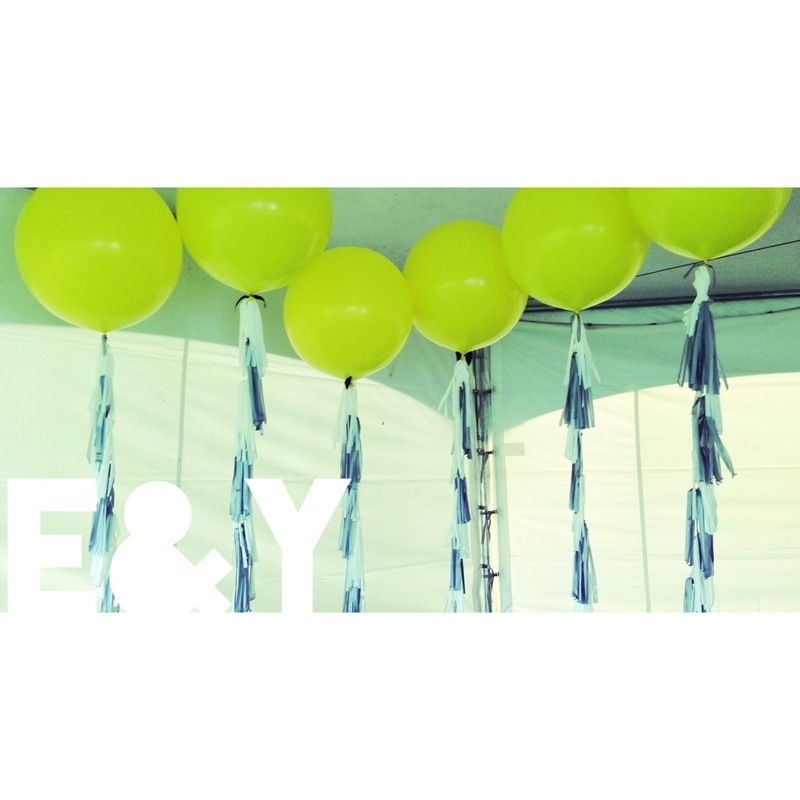 Brand Leaders” to read about some of the local vendors I have had the pleasure in working with; all of which have helped me share so much #balloonlove” around Saskatoon. From the very start, I had been brainstorming ways to get exposure. Among many ideas, was the surprise idea. 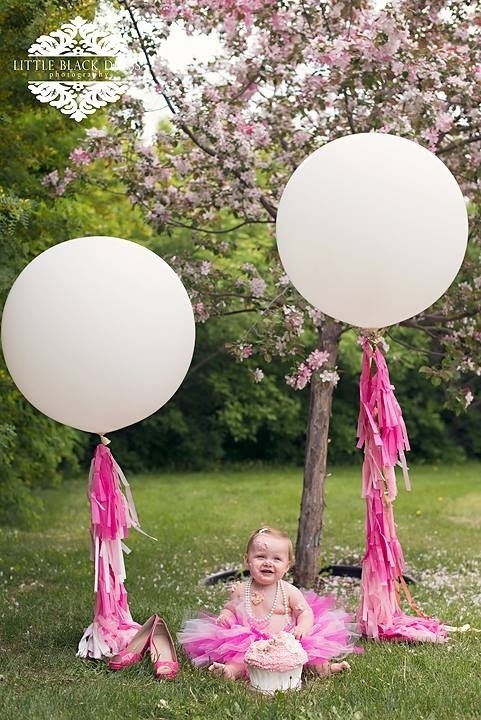 Show up to a party with a giant balloon complete with fancy, flowing tassels and someone is sure to take notice! My sister Sara is a Manager at on of Saskatoon’s many Wendy’s restaurants and I was invited to tag along to their recent manager party at the Sheraton Cavalier . An afternoon spent with families of the managers at the watersides. Since I knew there would be plenty of kids in attendance, I decided this would be a perfect time to bring along a surprise balloon. 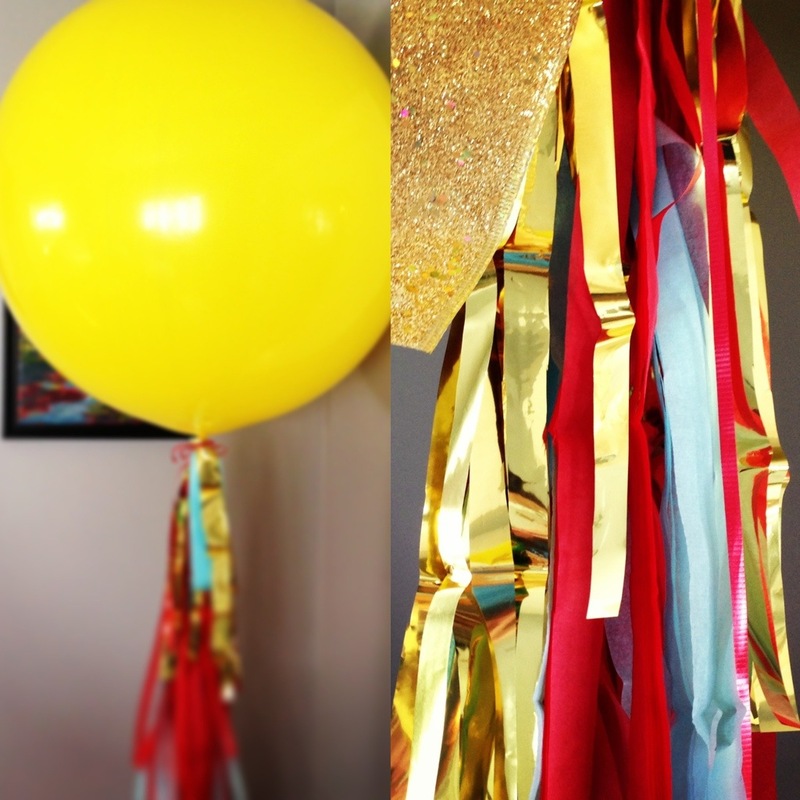 I used Wendy’s colors; Yellow for the balloon, Red, Light Blue and accents of Gold Mylar and sparkly gold ribbon for the tassel tail. I decided not to tell Sara but made sure to drop plenty of hints via the Balloonatic Twitter & Facebook accounts. We met at the hotel on Saturday. After I unloaded the kids from the car, out came the giant Yellow surprise! She was so excited! 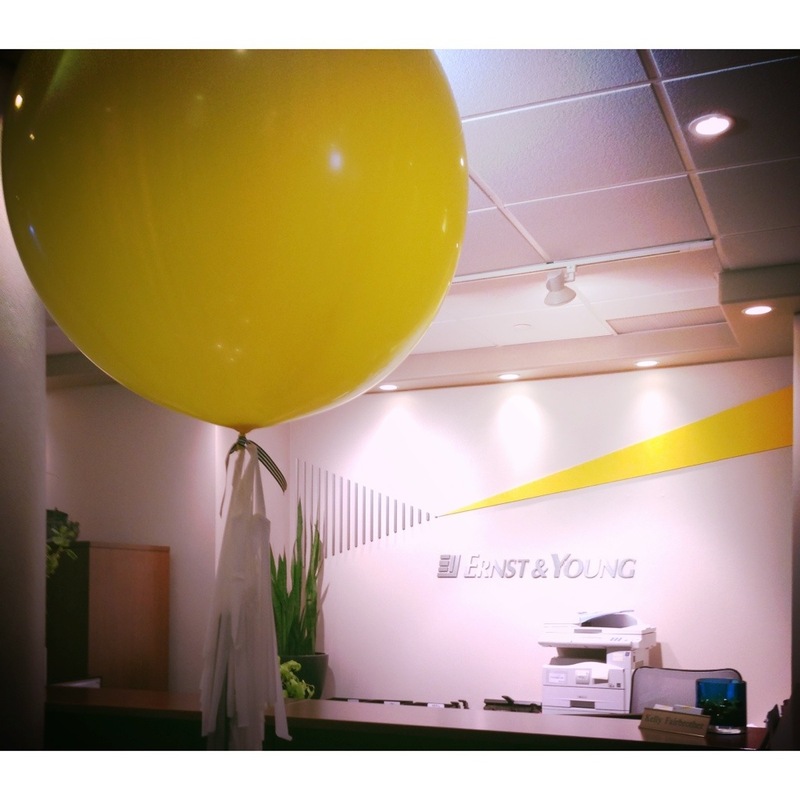 Everywhere that this yellow balloon trailed us, so did excited looks, lots of “oh wow’s” and plenty of smiles. We tied the balloon to our table at the pool and had plenty of comments and questions. It was the perfect mix of gift and garnering exposure. Not to mention my favorite creation so far….